Should I register on the website to gain access to all the materials? No, there is no registration required. Which languages can I learn with L-Pack Materials? 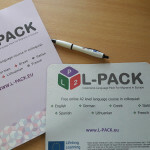 With the L-Pack materials you can learn: English, French, Spanish, Italian, German, Lithuanian, Modern Greek and Czech. Do other language versions exist? No, the L-Pack material exists in 6 languages only at present but we aspire to provide French and English versions, as mainly requested by the L-Pack users. Will the Manual be extended in future? Yes, there is a probability that the Manual will be extended and that the videos subtitled. Will the modules in the content be specified titles, e.g. Module 1 Communication? 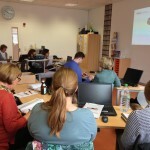 Yes, the Manual is structured in a very clear way and each of 12 Modules is specified by the title. Each Module is divided in 5 Units, and the units in their turn are specified by the titles. Should I follow the order of the Modules, starting from the first? The L-Pack Material is structured in such a way that the user doesn’t have to follow the order of the Modules (from 1 to 12), but can freely choose which Module to start with and which one to continue onto (for example, a user can start from the 5th then just to the 12th and then go to the 2nd and so on). It is even possible to use just one singular Module in case the interest of the user requires a precise theme. Should I follow the order of the units inside a Module? Yes, it is strongly recommended to follow the order of the Units inside a Module. The activities (exercises) become progressively more difficult from the 1st Unit to the 5th one. Will separate parts for e.g. grammar and pronunciation be placed and available in one file? As the project develops, we will take this possibility into consideration. Is it possible to profit from L-Pack materials when working as a language teacher with regular classes? Yes, of course. A language teacher can use the L-pack Manual as a base for his/her lessons, choosing just some of the exercises/dialogues/audios/videos and modifying them if necessary. Are the materials protected by copyright or other intellectual property laws? How do I ask for authorized use of the materials? 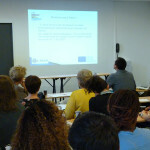 Yes, the L-Pack Material is protected by the copyright agreement and it is the property of the project partners. 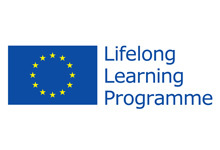 For authorisation for reproduction, distribution and public utilisation for educational, teaching and training proposes, of any of the L-PACK Project materials, or part of them, please contact the co-respective national project partner (the contact information can be find on the page “Partners”) or the coordinator of the project.